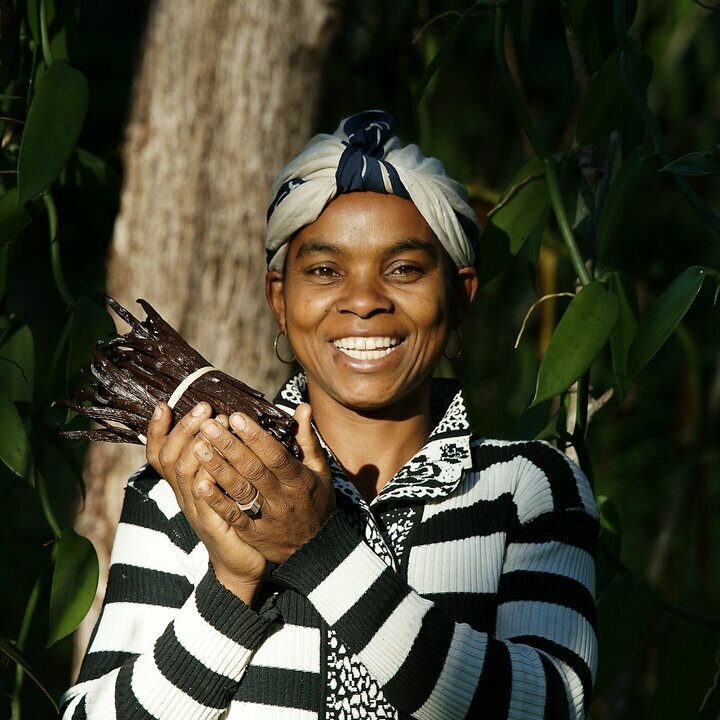 In northern Madagascar, Helvetas supports residents around a national park in improving their crops, such as vanilla, cocoa and coffee. So they make a better living and no longer need to clear and deplete swaths of the forest for short-sighted exploitation. This project is a WWF mandate, which is co-funded by donations. Two worlds face off in northern Madagascar. One world comprises the pristine rain forests at altitudes ranging from 0 to 3,000 meters above sea level, which provide habitats for over 2,200 species of flora and fauna, including 538 that are found only in Madagascar. In 2015, half a million hectares of this biodiverse area was accorded protective status as a national park that is twice the size of Luxembourg. Ambohimirahavavy Marivorahona, as it is called, is named after two prominent peaks. The other world up north is that of farmers who grow their staple foodstuffs here as well as cash crops like vanilla, cocoa, coffee and cloves. Despite their hard work, they are plagued by ever-recurring famines and poverty. The plots they farm are small, the farming methods inefficient and the prices they get for their produce fluctuate widely. 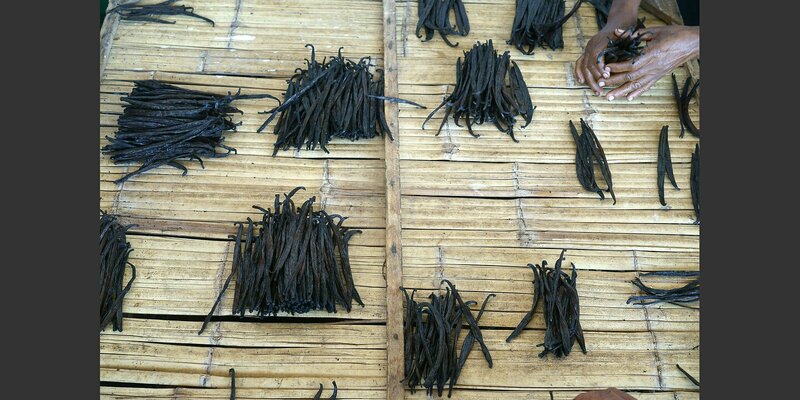 They often earn little even on vanilla, despite record prices in the global market, because of high transaction costs due to long distances, lack of market information and high margins by middlemen. So, logically, they resort to the only land still in public hands: the forest, even if it is protected. This is why Helvetas is working with the WWF to show 23,000 inhabitants in nine communes alternative ways out of poverty. 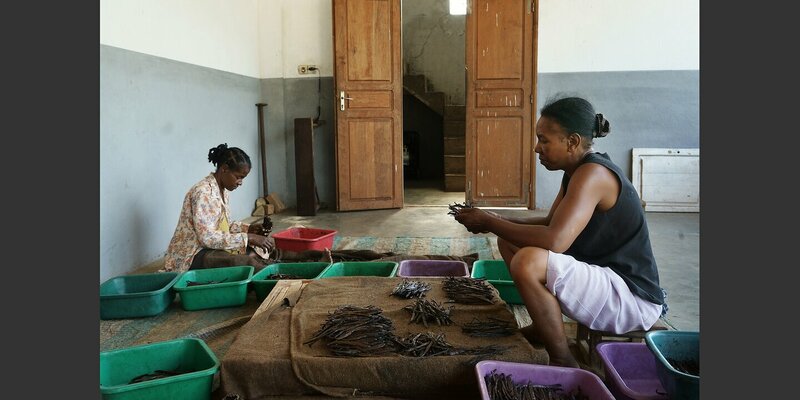 The farmers learn how to improve the quality of their cash crops and get fair prices for them. We help them set up cooperatives and establish long-term commercial relations with buyers. Under the guidance of foresters, they take timber from the woods, some for their own use and some to sell, without damaging the forests. 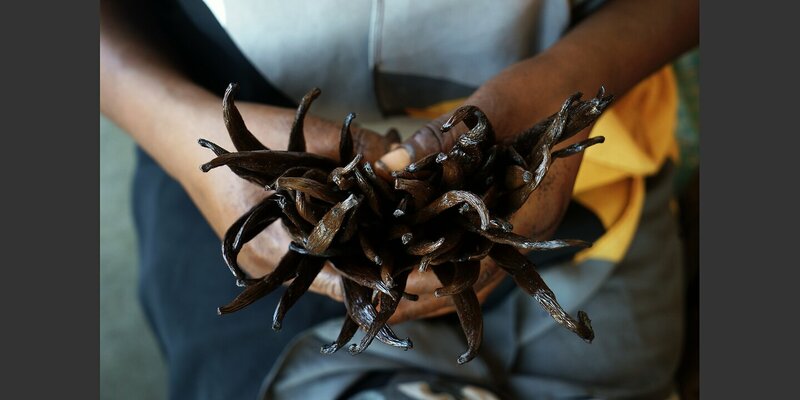 Not only do they increase their income, but they also learn from first-hand experience that the protected forest can still serve as a renewable resource. And village communities are beginning to call villagers to account when they infringe regulations to protect the forest. The municipalities are responsible for managing the national park, but they don’t know how to go about it. This Helvetas and WWF project supports them in transfering the management of forests to grassroots groups called Communauté de ​Base (COBA), whose members from local communities protect and sustainably use the forest, and even reforest some parts of the park.